Christmas is a very special time in Germany. Very few European countries celebrate this holiday with as much passion and fun as they do. One of the best things about going to Germany during this time of the year is visiting its many Christmas markets (and finding the best Berlin Christmas Markets is a challenge in itself). These typically open around the end of November and are a must-see for anyone planning a visit to Germany. This is especially true for the capital city of Berlin. There are over 60 Christmas markets in this Berlin alone. Today, we’re going to take a look at a few of them. Here are some of the best Berlin Christmas markets. 1. Berlin being the wonderful city that it is, has multiple Christmas markets, and while you could try to hit up each one, it’s not really necessary. Each market as a different vibe, and caters to different people. 2. If this is your first time checking out a Christmas market, remember to wear warm (in layers if you can), wear really comfortable shoes, and gloves. There’s nothing worse than having cold feet and hands. 3. Take breaks, and head to your hotel for a quick nap. We’ve included places to stay with each market to make things easier. 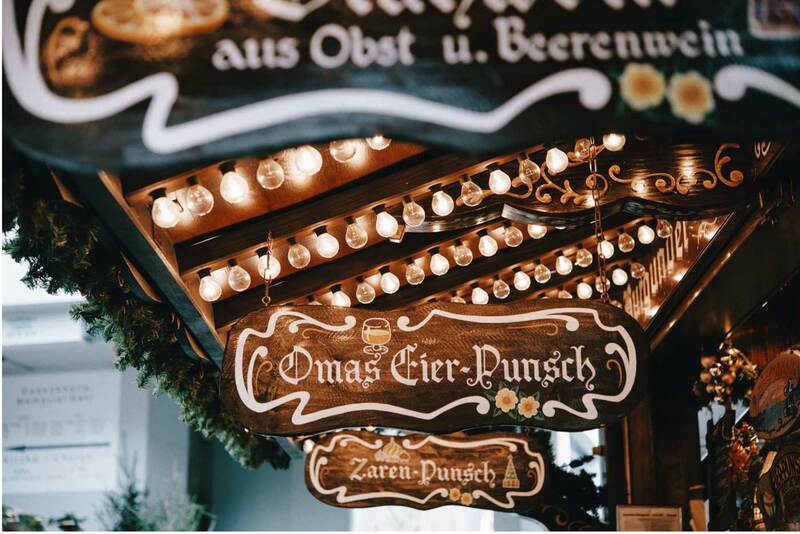 If you’re like us and want a local to help you experience the best Berlin Christmas Markets the way they are way meant to be experienced, take a tour with a local. We recommend this one. Very few Berlin Christmas markets are quite as amazing as Weihnachtszauber Gendarmenmarkt. It can be found right in the middle of the Mitte borough in between the Deutscher Dom, the Konzerthaus, and the Französische Friedrichstadtkirche. This particular market attracts 600,000 people a year. This is partially because of the vast array of handmade goods that can be found here. There are also many food stalls in this market, many of which allow you to try free samples before you buy. These things make Weihnachtszauber Gendarmenmarkt one of the best Berlin Christmas markets. There are quite a few great places to stay near Weihnachtszauber Gendarmenmarkt, but we recommend the following because not only are they really close to the market, they are also great places to escape to when you need a break from the craziness of the markets. Hilton Berlin ( check latest prices here): Steps away from the market, and right in the heart of the hustle and bustle of Berlin, Hilton is one of the best hotels because their service goes above and beyond regardless of where you are in the world. The Westin Grand Berlin (check latest prices here): A quick minute away from the subway, and a 10 min walk away from the Christmas Market, besides of the really comfortable beds, great views, and a spa that will melt your stress away. Wintertraum am Alexa is widely considered to be the most modern Berlin Christmas market. It’s not difficult to see why. At this market, you’ll find everything from bumper cars, roller coasters, and a massive Ferris Wheel. This makes it an excellent place to take the kids, and adults are sure to love it as well. Of course, Wintertraum am Alexa has plenty of more traditional experiences to enjoy as well. Along with its theme park rides, it’s also known for its food stalls. These are known for selling a great variety of delicious German delicacies. It’s one of the best Berlin Christmas markets to visit if you’re looking for the best of both worlds. The Dude Berlin-Mitte (check latest rates here): This small boutique hotel is situated in a building from the 19th century and is centrally located in Berlin. The Dude Berlin-Mitte offers a 24-hour reception, free WiFi, bike rental and an American fine dining restaurant. The Berliner Weihnachtszeit is one of the oldest and most popular Berlin Christmas markets. Many of the stalls in this market are decorated in an old, early 20th-century style. For this reason, a trip to this market feels much like taking a step back in time. Like Wintertraum am Alexa, Berliner Weihnachtszeit is home to a gigantic Ferris Wheel. This one stands almost 50 meters high. This market also features the largest ice skating rink in Berlin. On top of all this, you can even take the kids to visit Santa Claus three times a day. Overall, Berliner Weihnachtszeit is a very charming Berlin Christmas market that has quite a bit to offer. 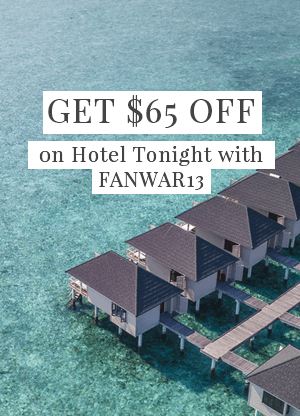 Capri by Fraser Berlin (check latest rates here): Easy access with less than a 10-minute walk from the historic Nikolai district, the world-famous Unter den Linden Boulevard and the majestic Gendarmenmarkt square. You have easy access to everything in this modern beauty. 7 Super Cheap Places to Travel in the U.S.
You’ll find this market in West Berlin, which can be reached by taking a train. Along with being one of the best Berlin Christmas markets, it is also in close proximity to many other amazing German attractions. This includes the nearby Memorial Church of the Protestation and the Berlin Zoo. It also consists of about 160 different markets selling all kinds of toys, clothes, and other trinkets. This makes it a unique place to do some serious Christmas shopping. It’s also well-known as an excellent spot to pick up a Gluhwein and other delicious German dishes. There’s even a carousel for the kids to play on. Waldorf Astoria Berlin (check latest rates here): Located at the very heart of Berlin’s City West, close to the exclusive shopping boulevard Kurfürstendamm, the Waldorf Astoria Berlin offers a sophisticated atmosphere in modern Art Deco style. Guests can relax with one of the signature treatments at Germany’s first Guerlain Spa. Winterwelt am Potsdamer Platz is an incredibly popular Berlin Christmas market. In fact, it attracts up to 2.5 million people every year. This is partially because it opens much earlier than the others. You can visit this market at the very beginning of November. Winterwelt also has a wide variety of activities to participate in. One of these is the biggest toboggan in Europe. This allows you to slide down a big, snowy hill in a tire with a friend. You can also take part in a unique German game that’s similar to curling called EisstockschieSSen. You can even find live music playing here during the weekends. Berlin Marriott Hotel (check the latest rates here): This hotel in Berlin is a 10-minute walk from Brandenburg Gate and 100 m from Tiergarten Park. It offers elegant rooms, a 24-hour fitness centre, swimming pool, and 3 infrared saunas. The Alexanderplatz Christmas Market is best known for its massive Christmas pyramid. This pyramid is brilliantly lit up with 5000 lights during the holidays and is the largest pyramid of its kind in Europe. Along with the pyramid, you’ll also find another giant Ferris Wheel to ride on. This is in addition to the many other rides that can be found at the Alexanderplatz Christmas Market. You will also find over a hundred different vendors selling all kinds of toys and crafts. These things make it one of the best Berlin Christmas markets. Hotel Indigo Berlin-Alexanderplatz (check the latest rates here): This ridiculously cute boutique hotel in Berlin city centre is only a 2-minute walk from Alexanderplatz Square. Charlottenburg Palace is an incredibly gorgeous place to visit any time of the year, but this is especially true during Christmas. During this time, the palace is decorated with hundreds of lights, making it a truly beautiful spectacle to behold. You can also find up to 250 vendors surrounding the palace during the holidays. You can shop for all sorts of German sweets and gifts while the smell of gingerbread permeates the air. Charlottenburg Palace is certainly a special place during the holidays, and going there can make you feel like you’re walking through a fairy tale. Quentin Boutique Hotel (check the latest rates here): Located minutes away from Charlottenburg Palace, this a great choice for travellers interested in shopping, convenient public transport, and sightseeing. Despite being a bit removed from the city’s center, the Spandau Christmas Market is still one of the most popular Christmas markets in Berlin. This is partially because it is one of the most traditional Christmas markets. In this place, you can find hundreds of vendors lined up around the St. Nikolai Church. The Spandau Christmas Market is also well-known for its entertainment. It presents a large stage show every single evening. Fridays in particular feature the Christmas Meets Rock and Roll show. Or you can participate in one of their karaokes, which are held on Saturday nights. These shows make the Spandau Christmas Market one of the best places to go shopping during the holidays. The Dude Berlin-Mitte (check latest rates here): This small boutique hotel is situated in a building from the 19th century and is centrally located in Berlin. These are a few of the best Berlin Christmas markets. 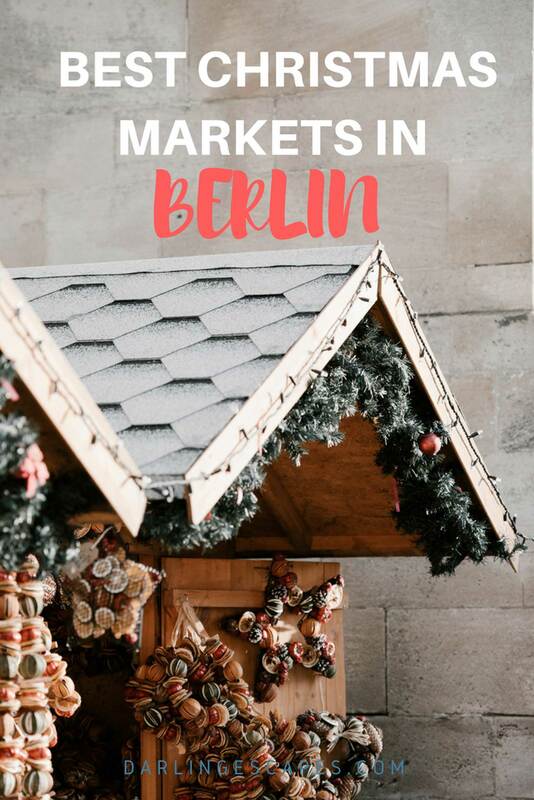 These markets are a truly magical experience and are another reason to visit the great city of Berlin. Start planning a winter trip to Germany today, and you’ll soon be enjoying these wonderful Berlin Christmas markets for yourself.